The Calgary Flames and Tampa Bay Lightning swung a trade on Friday, with former Red Deer Rebel Blair Jones coming back to Alberta. 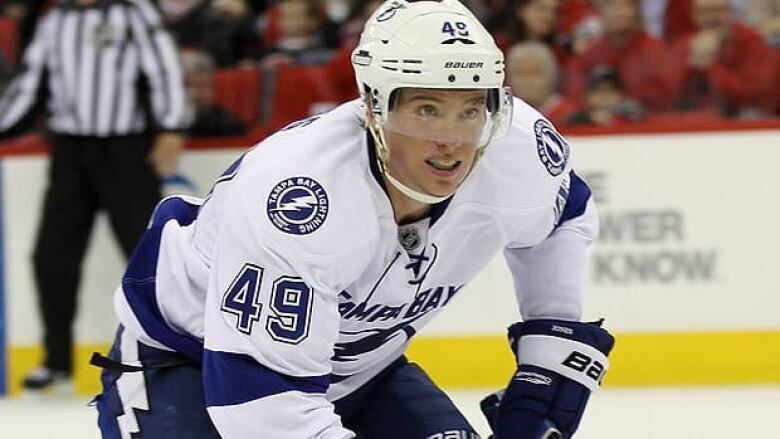 Jones, 25, has scored four goals and six assists in 78 regular season games with the Lightning. "Blair is a player that both Brent Sutter and I are familiar with," Flames general manager Jay Feaster said in a statement. "He is a good sized centerman and someone we feel will fit in well here with our organization." The six-foot-three centre from Central Butte, Sask., was acquired for Brendan Mikkelson, who spent 19 of his 86 NHL games with Calgary. The defenceman has spent all of this season with the AHL's Abbotsford Heat.